Liver cancer is a serious disease that can be primary or secondary. Survival rates and treatments will vary depending on the stage of cancer and other factors. The job of the liver is to continuously filter the blood converting nutrients and drugs into easily-accessible chemicals for the body. The liver also removes harmful toxins and waste products from the blood and readies them for excretion. But because all of the blood moves through the liver, it is highly susceptible to cancer cells that may be present in the bloodstream. 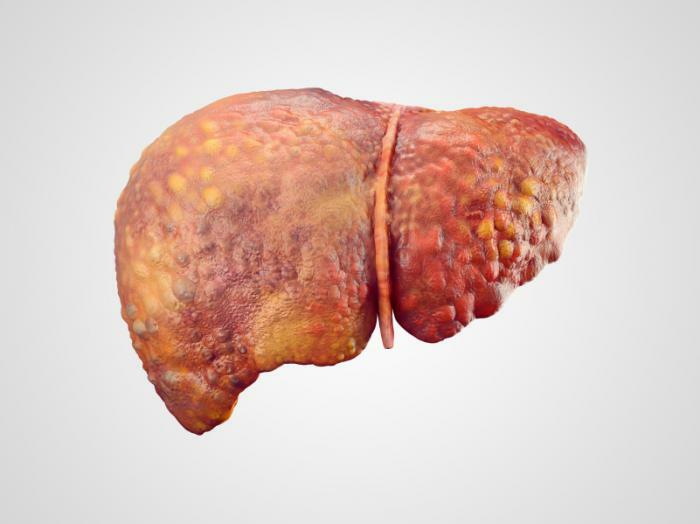 The liver can be affected by primary liver cancer, though in most cases it is secondary, which means it becomes affected by other cancers in the body that spreads. Many people want to know how long they can live with liver cancer. What Is the Liver Cancer Survival Rate? Survival rates for liver cancer are the doctor's way of determining a patient's prognosis, though not all patients care to know nor do they find the statistics helpful to their situation. Which Factors Affect Your Survival Rate? The survival rate tracks the percentage of people that survive with liver cancer over a certain period of time. Since various factors can affect survival rate the life expectancy of a cancer patient cannot be predicted. Treatment varies from patient to patient as does the patient's response to treatment. Other factors include the stage of the cancer at diagnosis, general health of the patient and lifestyle, and status of liver function. It is estimated that 33,190 adults (24,600 men and 8,590 women) in the United States will be diagnosed with primary liver cancer in a year and an estimated 23,000 deaths (15,870 men and 7,130 women) will occur this year. Liver cancer is the tenth most common cancer. It is the fifth most common cause of cancer death among men and the ninth most common cause of cancer death among women. Localized: The cancer has not spread beyond the liver and includes stages one through three, some of which are easier to treat than others. The survival rate is 28%. Regional: The cancer has spread into nearby organs and lymph nodes and includes stage IIIC and IVA cancers. The survival rate is 7%. Distant: Distant cancer has spread to organs and tissue farther away in the body and includes stage IVB. The survival rate is 2%. The liver cancer survival rate over 5 years for all cancer combined is 15% and this low rate is usually due to a patient having other liver problems such as cirrhosis or hepatitis. Survival rates do tend to be higher for people who are able to have surgery to remove cancerous tumors and tissue and there are no other liver problems. For people who have a liver transplant in the early stages, five year survival rates are between 60 and 70%. Survival rates for stage four liver cancer are very low at only 7% over five years. Metastatic liver cancer shows a survival rate of zero even with a transplant. Statistics cannot tell you what will happen in your situation because your cancer and you are unique. The same type of cancer can grow at different rates in different patients depending on a variety of reasons. The statistics also cannot tell you about the different treatments other patients may have had or how that treatment may have affected their prognosis. There are many individual factors that will determine your treatment and prognosis. Treatment for liver cancer will vary depending on the stage of the cancer, your overall health, your age, and any preferences you may have for treatment. For advanced stages of liver cancer, pain management becomes the focus. Your doctor can discuss different treatments and medications to control pain. If you wish to avoid side effects there are a number of options including acupuncture, deep breathing, acupressure, massage, and music therapy. While there is no easy way to deal with a diagnosis of cancer, there are some techniques that may make your diagnosis easier to handle. Learn about your cancer and treatment options. This is the best way to make an informed decision about your care. Talk to your doctor about the stage of your cancer, your prognosis, and any treatment options available. Stay close with friends and family. Your friends and family can help provide a stable support system for you emotionally as well as providing practical help such as housekeeping or grocery shopping. Find someone to talk to. Whether it is a friend, family member, clergy member, other cancer survivors, or therapist, having someone to talk to can help you cope with your diagnosis and any feelings you are dealing with. You can ask your doctor about local cancer support groups or look online or at your library.